In February outlays for U.S. construction projects jumped by 1 % on the seasonally adjusted basis, reported by the Commerce Department to annual rate at $1320.3 billion. Growth of nonresidential construction in the last month, shows pick up of investments in commercial and infrastructure projects. 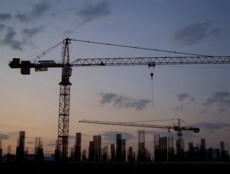 Report indicates signs of growing optimism as investors open their wallets, construction spending is closely watched by investors and economists for signs of whether the economy is growing or shrinking. U.S. construction spending increased by 1.1 % from Feb. 2018, led by public spending. Outlays for private construction increased by 0.7 % and accelerated on the seasonally adjusted basis. Growth in the private construction spending is generally viewed as a good news, as increasing private investments show optimism in private sector about future economic prospects. From the same month a year ago, spending on private construction projects deteriorated by -2.8 %. January outlays for U.S. construction projects were revised to $1307.3 billion to show 1.1 % growth. Spending on public construction projects jumped by 3.6 % more then double the rate, of total construction growth on the seasonally adjusted basis, outlays for nonresidential construction increased above average for educational, power, highway and street projects. Public outlays for commercial buildings fell. Government spending on residential buildings, represents now 0.43 % of total construction spending. From the same month a year ago, public construction outlays jumped by 9.6 %. Source U.S. Department of Commerce Picture Autor: (Badseed) licence GNU.